Tetralogy of Fallot (TOF) is one of the most common cyanotic congenital heart conditions 1,5 and continues to be a major source of morbidity. Tetralogy of Fallot accounts for 10% of all congenital heart disease, and in approximately 15% of cases it is associated with a deletion on chromosome 21q11 6-7. Presentation is dictated by the degree of right ventricular outflow obstruction. 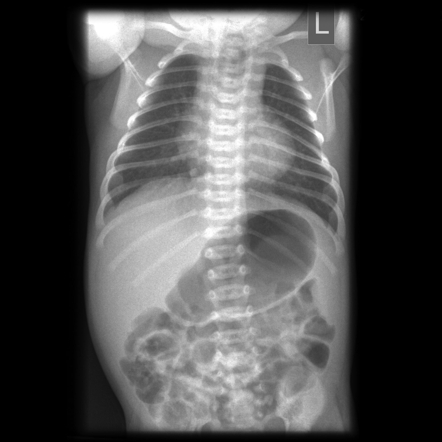 Typically this is significant, resulting in cyanosis evident in the neonatal period, as a result of the right to left shunt across the VSD. In cases where outflow obstruction is minimal, cyanosis may be inapparent (pink tetralogy) resulting in delayed presentation, even into adulthood, although this is rare. 90% of untreated tetralogy patients succumb by the age of 10 years 6. The right ventricular hypertrophy is a result of the VSD and right ventricular outlet obstruction, both contributing to elevated resistance to right heart emptying 6. Can classically show a "boot shaped" heart with an upturned cardiac apex due to right ventricular hypertrophy and concave pulmonary arterial segment. Most infants with TOF however may not show this finding 2. MRI has the great advantage of providing both exquisite anatomical details and functional information without ionising radiation. Detailed assessment of the pulmonary artery is particularly important because repair of the cardiac defects without addressing pulmonary artery hypoplasia / stenosis has a poor outcome 8. The main pulmonary artery or right pulmonary artery diameter should be compared to that of the ascending aorta. A ratio of < 0.3 usually signifies that primary repair would be unsuccessful and a bridging shunt operation may be of benefit 8. Assessment of coronary artery origin is also essential to surgical planning. Over the years many surgical approaches were performed, until current primary repair was developed. Shunts are now days only performed as a palliative procedure in inoperable cases or to bridge patients until repair can be carried out, typically in the setting of pulmonary arterial hypoplasia 8. Primary repair is now the preferred treatment and is usually performed at the time of diagnosis. Prognosis is largely dependent on how soon the defect is diagnosed and corrected, with the best outcome seen in patients repaired before the age of 5 6. 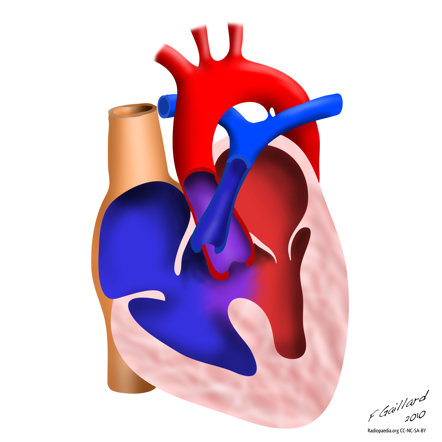 Overall there is a 90 - 95% survival rate at 10 years of age, however residual right ventricular dysfunction is common. Up to 10% of patients require re-operation within 20 years 6. 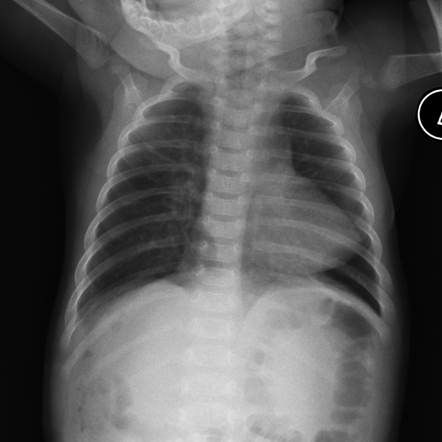 Findings on chest x-ray are non-specific and other cyanotic congenital heart diseases should be considered.